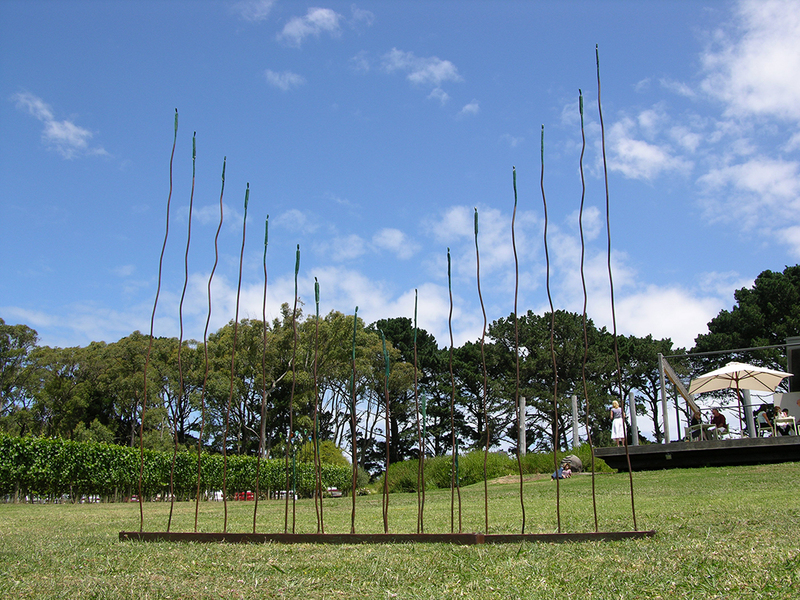 Intersected Growth brings together a combination of many previous works and ideas. 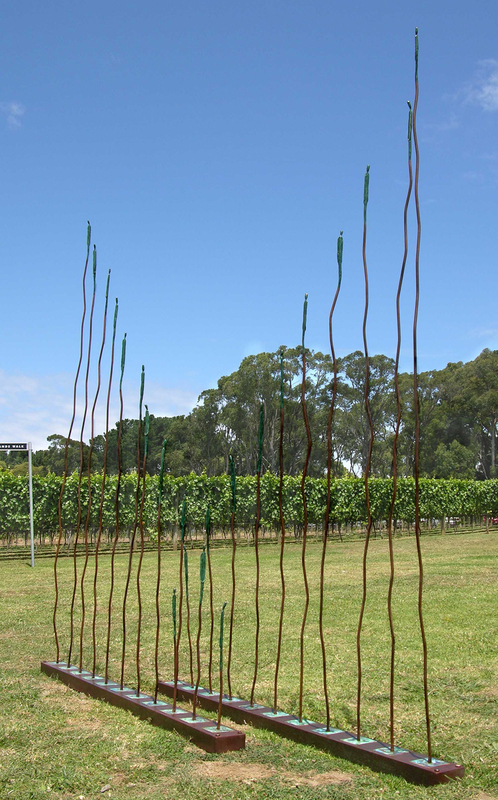 Figures atop vine-like rods suggest stages of growth in one’s own personal journey. The visual intersection of the two structures creates an ascending and descending horizon line, mimicking the profile of a landscape. Merging the two ideas implies the inherent interconnection we have with the land and how it impacts on our sense of identity.